1. Visit the school and familiarize your child with its environment. Talk to your child about the new things that are at his/her new school (lunch at the canteen, new playground, taking the bus, etc). If the building is open, try to take a tour and see some classrooms, the library, meet the people in the office and look around. 2- Facilitate your child’s bonding with the teacher. If they have not met their new teacher yet, try to see if a short visit can be organized, especially if your child is new to the school. Connecting with the teacher and feeling comfortable will help your child be ready to learn. All kids need to feel connected to their teacher to feel comfortable in the classroom. Make sure that your child knows his/her new teacher’s name. If you can find a photo of the teacher, that can also help. After starting school, if you notice that your child does not seem to have connected with his/her teacher, make sure that you ask to talk to the teacher to let him/her know. 3- Facilitate bonding with the other children. If your child is new in town, make efforts to meet other children in the neighborhood. Some schools will have an activity for new families. Try to join if this is possible. 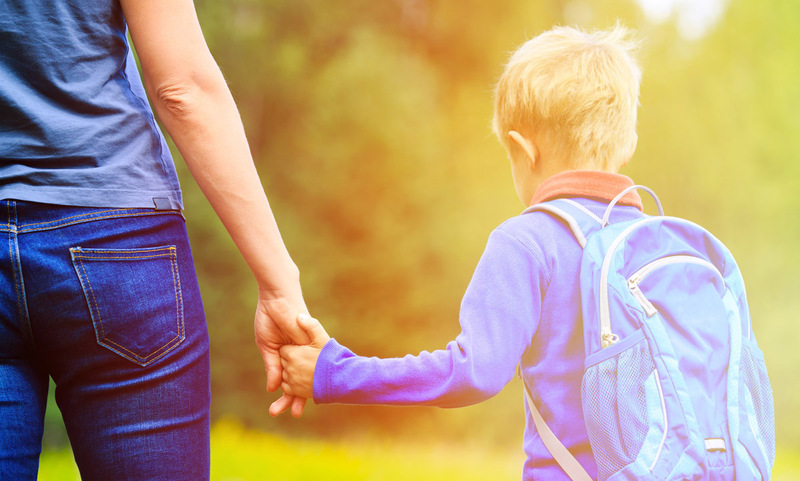 Even if your child is not new, you can arrange for your him/her to go to school the first morning with a friend, or organise a playdate before school starts to reconnect after the summer holiday. 5- Talk to your child about what to expect during the next grade at school. Get your children excited by talking about what they can expect, including snack, playground, reading, computers, singing and art. If you know other children who will be in his/her class or in the school, be sure to mention that he/she will see or play with them. Encourage questions by asking what he/she thinks school will be like. 6- Get your children back on an early bed schedule well before school starts. Most children begin staying up late in the summer months. But children need 9 ½ to 11 hours of sleep a night, depending on their age. Imposing an early bedtime cold turkey the night before school starts could result in a child who gets up tired and gets upsets for no reason but tiredness. In that situation, you can expect everyone’s anxiety to escalate. So keep an eye on the calendar and start moving bedtime a bit earlier every night. 7- Let your child choose his own school supplies. They will get excited about school and like getting ready for it. 8- The day before school starts, talk about what will happen the next day. Be alert for signs that your child is worried, and reflect that most kids are a little nervous before the first day of school, but that he/she will feel right at home in his/her new classroom soon. 9- Get yourself to bed early the night before school so you can get up early enough to deal calmly with any last minute crises. Be sure children – including teens! – lay out clothes the night before, that lunches are made, and that everyone gets enough sleep and a healthy breakfast. Plan to arrive at school early so you have time for meaningful goodbyes. 10- Make sure you are a few minutes early to pick your child up that first week of school.